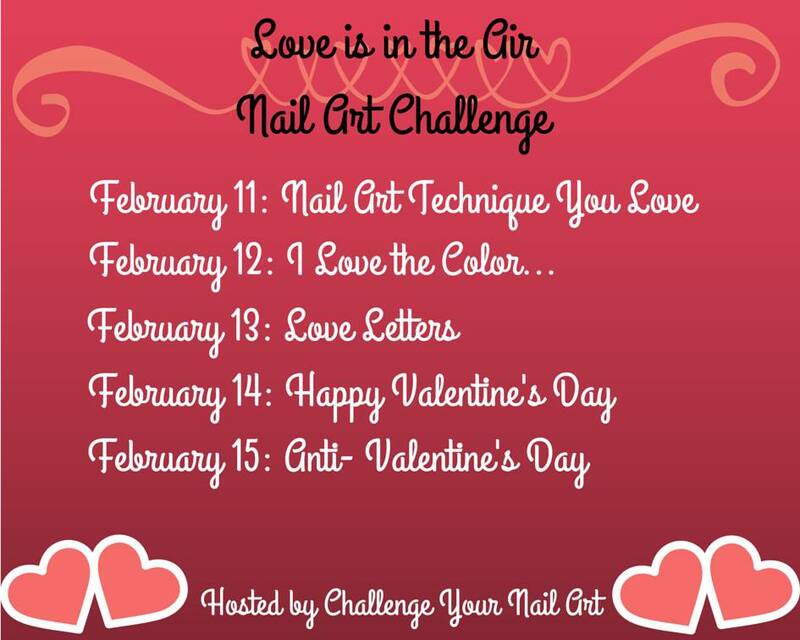 Love Is In The Air Nail Art Challenge: Happy (Belated) Valentine's Day! I may not have waited long enough for my stamping to dry before I applied my top coat, but ah well. That's one of the risks we take! I still really like how this picture picks up on the shimmer even if it also picks up on the imperfections. I'm not generally big on Valentine's Day irl but I do enjoy the things the nail blogging world does with it. :) Nail bloggers always do up holidays in awesome ways, and everyone is so creative! It's so inspiring. Did you do anything special for Valentine's Day? I did not, but I'd love to hear about your day if you did! very pretty - that macro really shows off the beauty of the polish! These are so fun! I love how bright that pink is! These hearts are super cute. I love your stamping and the little rhinestones. 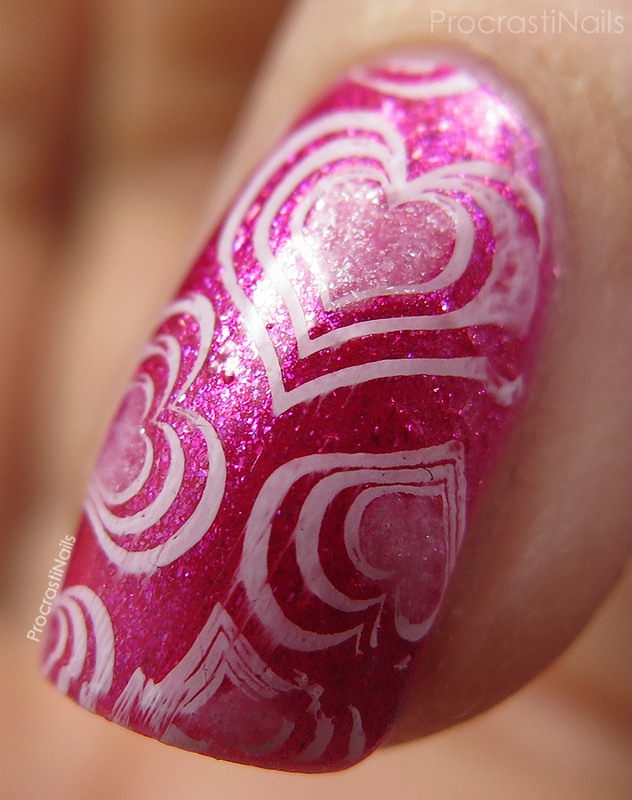 That stamping looks gorgeous! I love the effect of Great White. That's one of my favorite stamping plates, love how the mani turned out. 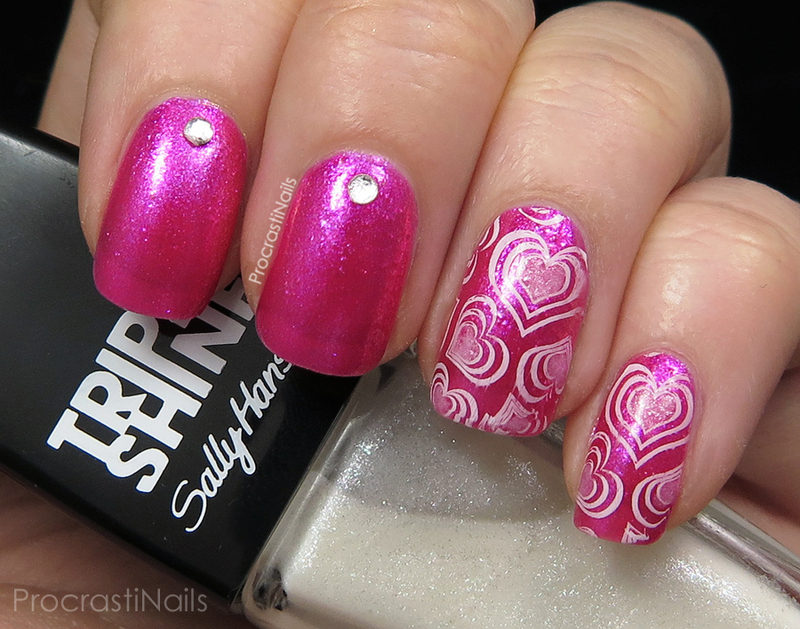 Such a cute V-Day look - your stamping is gorgeous! Who cares about the smudges! I love the overall look! Love those stamped hearts! They pair so well with the studs too.